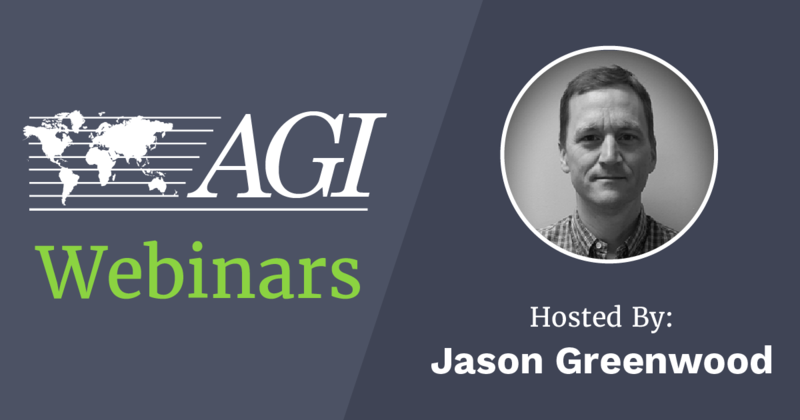 This "Ask Me Anything" webinar was hosted by Jason Greenwood on 1.31.2019. Jason is the Senior Geophysicist and Manager of our Austin office. There were several topics covered—all of which were generated by questions from the audience. You can link to each question using the chapters function in the video below. Want to take part in our next webinar? Sign up for webinar alerts from us so that you get an email the next time we host one for your country/time zone. For any additional questions, you may visit helpdesk.agiusa.com or email Jason at jgreenwood@agiusa.com.